In 1984, Natsuki was born in Kyowa -Chou, Hokkaido. Recently she moved in Sapporo. At age 7, she has learned her first calligraph under Mr. Zuihou Sato ,a master calligrapher. In 2009, she created her original writing method that combines letters and illustrations. In 2012, she moved her working base to Sapporo. At the same time, she started to collaborate and perform with artists and creators of various genres such as sounds, clothes , lighting, and foods. In 2014, and 15, she expanded the range of her artworks including group exhibitions, workshops, and demonstrations among Japan and also Chicago, USA. 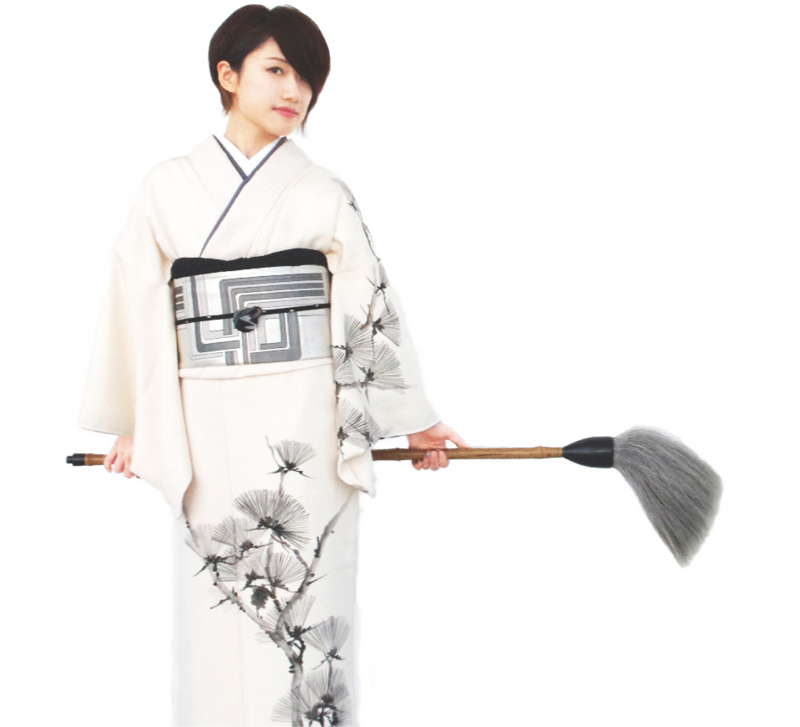 In 2016 she formed a unit “Wakana” to enjoy calligraphy in Kimono. Her motto is “live with calligraphy a life time” to leave and expand the charm of the “calligraphy “ which is one of traditional Japanese culture for future generations.